Chopping Board SS Rack including 6 High Quali..
Chopping Board SS Rack only To hold 6 board..
Glass Chopping Board 28cm X 38cm Clear Finish..
High Quality Chopping Board 18 X 12ins Blue..
High Quality Chopping Board 18 X 12ins Brown..
High Quality Chopping Board 18 X 12ins Green..
High Quality Chopping Board 18 X 12ins Red..
High Quality Chopping Board 18 X 12ins White..
High Quality Chopping Board 18 X 12ins Yellow..
Horwood Polished Marble Chopping Board 11.5 X..
Good quality Poly Chopping Board. 11.5" x 7.5.. 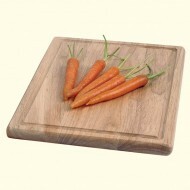 Wooden Chopping Board 10ins Dia.. Wooden Chopping Board 11.5 X 8ins.. Wooden Chopping Board 11ins Dia X 1.5ins Thic.. Wooden Chopping Board 17.5 X 11ins..
Hard wearing Wooden Chopping Board. 18" x 14"..
Hard wearing Wooden Chopping Board. 14" x 10"..